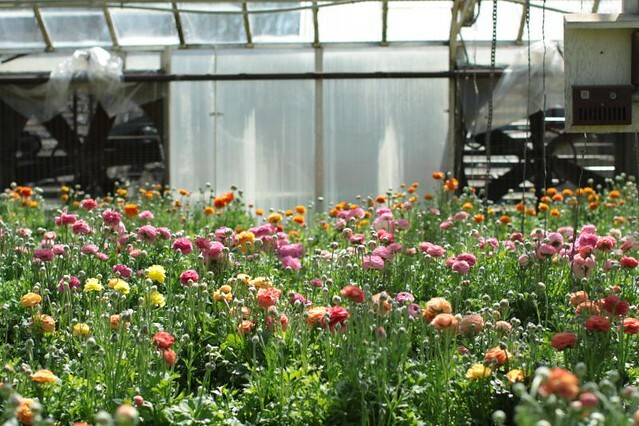 flower school: we bow down! 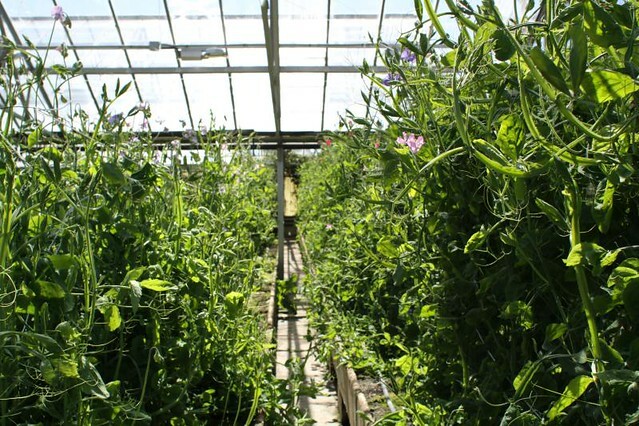 The professor and I made an epic trip to Hautau growers to meet with owner Kim Hautau on Tuesday. It was a trip we've been thinking about for a while, and thanks to Lauren at GPAGE (one of our favorite wholesalers in the market) we were able to get our act together to make the trek. To say we were overwhelmed would be an understatement. 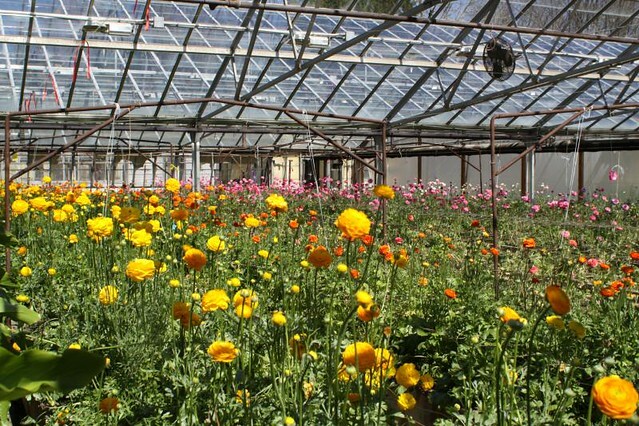 The flowers they grow at this nursery are beyond. 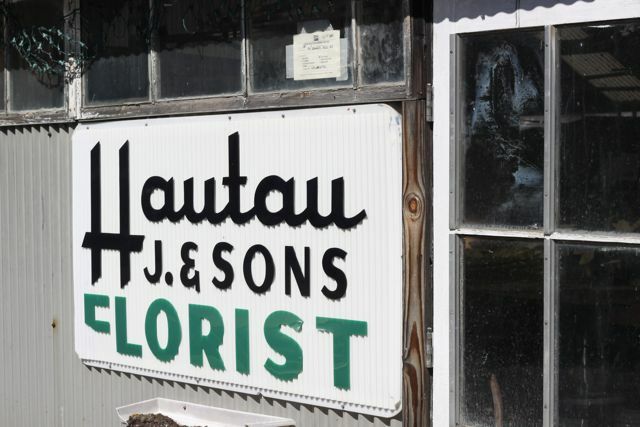 A third generation operation located out in the stix of New Jersey, Hautau does everything right. 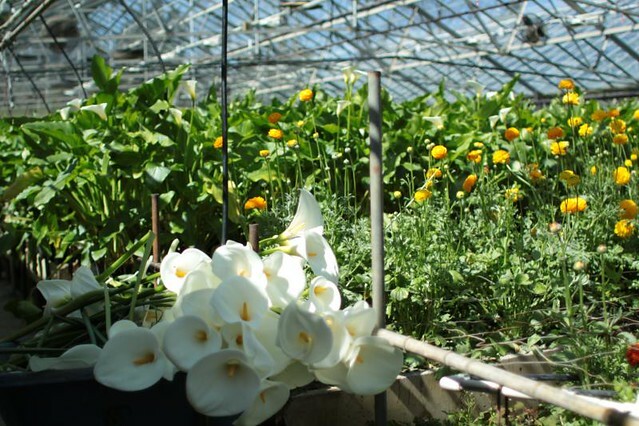 They grow unmatched ranunculus, hellebores, sweet peas and calla lilies for the wholesale trade. 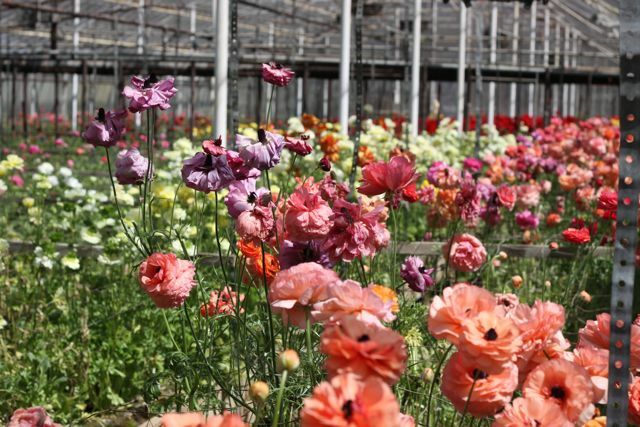 The quality of these flowers is unmatched in this region. Hopefully our photos here, distilled down from hundreds of images we captured that afternoon, do them some justice. Meeting and talking to growers informs a vital exchange. It puts a face and a conversation to the names on the orders Kim receives from our wholesalers each week. 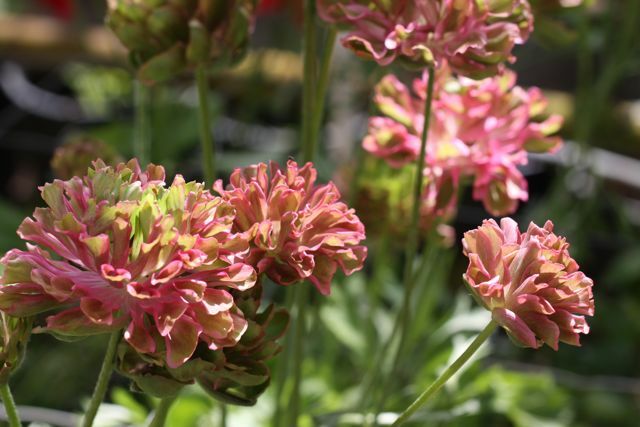 It lets us point out in person the flowers we are interested in; meaning we will receive stems closer to our vision. It also gives her a chance to ask us what we're looking for in the product she's working so hard to produce. 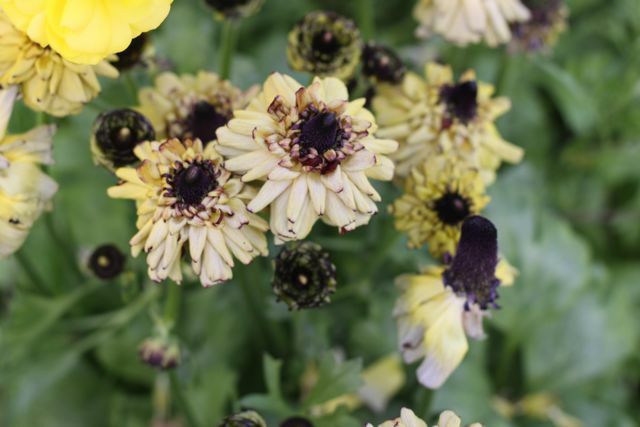 All of us in the industry know how tricky color interpretation can be - when you order flowers from a wholesaler, imagine trying to describe the muddy lavender brown color you're after. 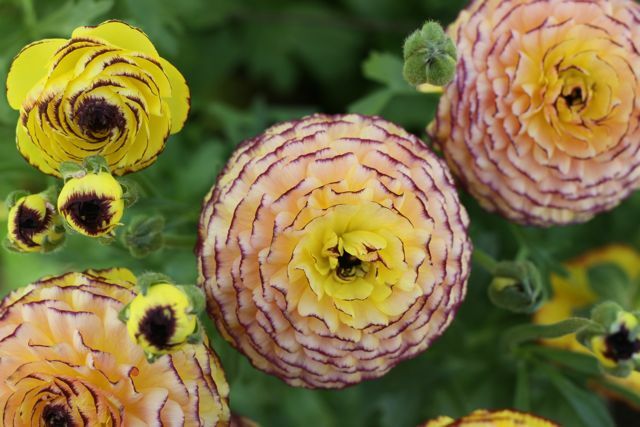 Wholesalers tend to think in terms of purple, yellow, orange, red, etc...Now when Kim receives an order from Nicolette Camille or Saipua, she knows that we tend to gravitate towards the nuanced complicated stems that don't necessarily fit into one of the primary color groups. 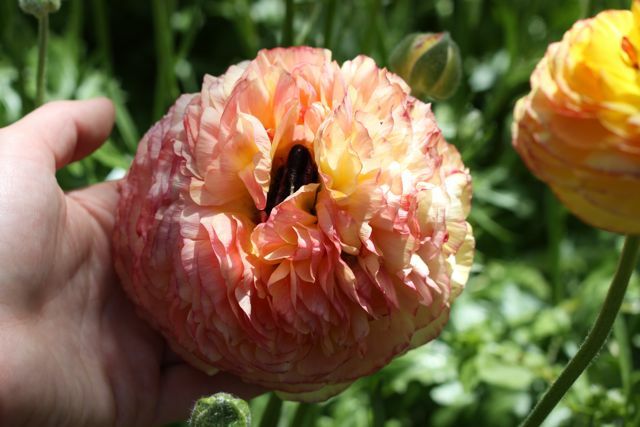 Plus we get to gush in person to her how unbelievably gorgeous her flowers are. 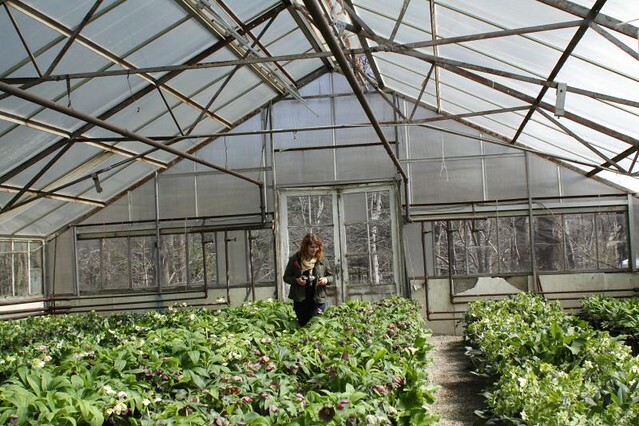 When she asked me how she should improve upon the cuts of her hellebores I was tongue tied. "PLEASE!" I said..."Just keep doing whatever it is you're doing." The full set of images from our trip here. I feel like I just fell down the rabbit hole. Amazing pictures. This is a field trip I could get behind. 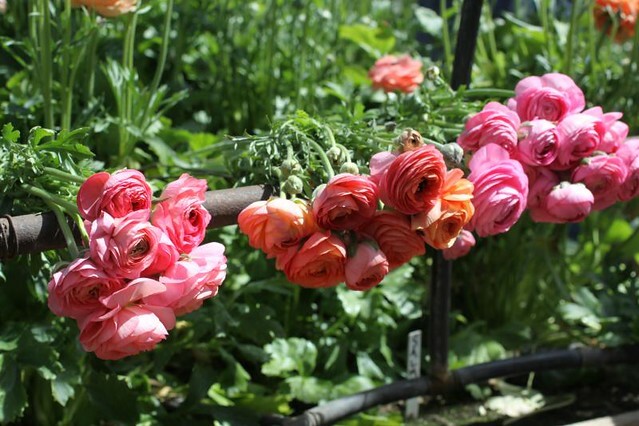 Woah, those pink and green ranunculus (?) are amazing. And those hellebores. Oh my god. made my Friday! i love this sneak peek! OMFG. I mean really. I could cry at the sight of some of those. I mean...really. whoa, beautiful! are these guys open to the public or for wholesale/trade only? 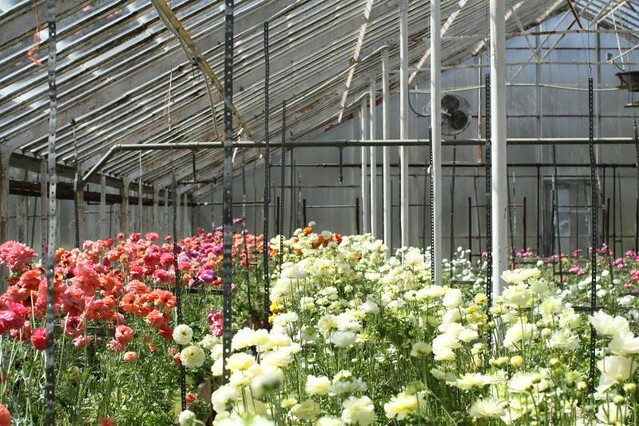 would love to visit someplace like this on an easy sunday for some color inspiration. Wauw,that are some enchanting flowers ! 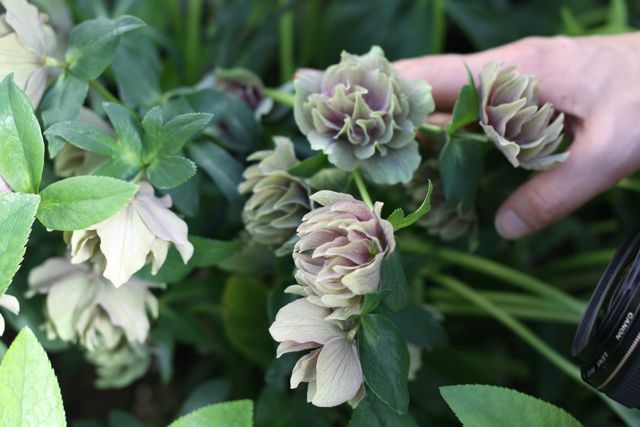 especially that helleborus, that one just kept me looking speechless for 3 whole minutes ! Just FYI, you take the most beautiful pictures. In case you didn't know. Nice post! Mature hellebores look attractive mixed with other spring-flowering diminutive woodlanders, such as cyclamens, snowdrops and wood anemones.